"Skills for the day, memories for a lifetime!" 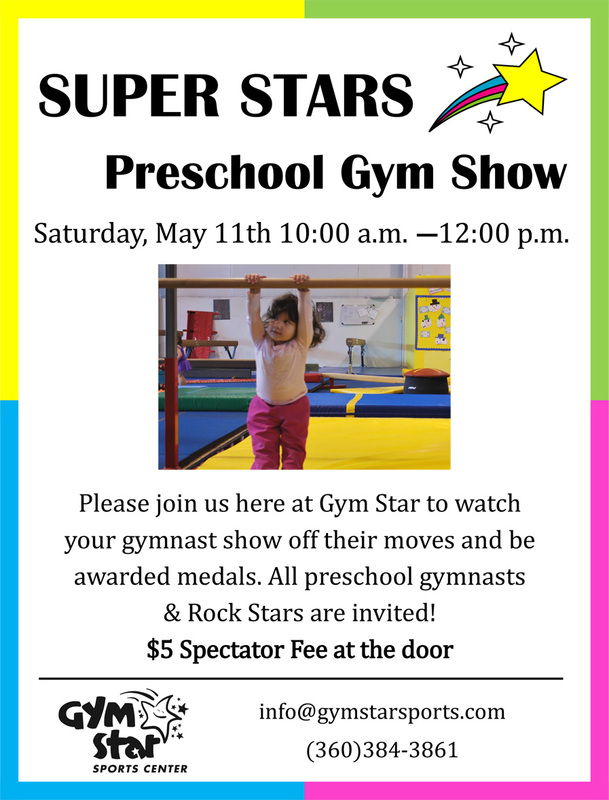 Welcome to Gym Star Sports Center, where every child is made to feel like a star! We offer gymnastics and dance to children of all ages and abilities in a family-friendly, all-inclusive environment where kids feel safe and valued. Gym Star Sports Center (GSSC) is not here to necessarily create Olympian athletes but instead to instill in our kids a passion for fitness and movement that stays with them for a lifetime. Our goal at Gym Star Sports Center is to use physical activity to teach team building skills, resilience, and foster self-confidence, while helping our kids develop flexibility and strength. Through our recreational gymnastics and dance classes - taught by highly trained, caring instructors - your children will also learn how to set and meet personal goals as we give them the tools to be happy, healthy kids! Classes such as dance, gymnastics, as well as trampoline, tumbling, and Parkour, all teach optimal motor skills development while our Shooting Stars Preschool combines fitness with learning. In Shooting Stars Preschool, our "Handwriting without Tears" curriculum allows our instructors to incorporate academics with gymnastics in a non-competitive environment so each child can thrive and reach their full potential. Our mission at Gym Star Sports Center is to make it possible for kids to succeed in a safe, positive setting as we use recreation and fitness to teach skills for the day, memories for a lifetime!